If you’re a fan of tea and crumpets in the morning or can’t get enough soccer in your life, a move from New Jersey to England might be what you need. 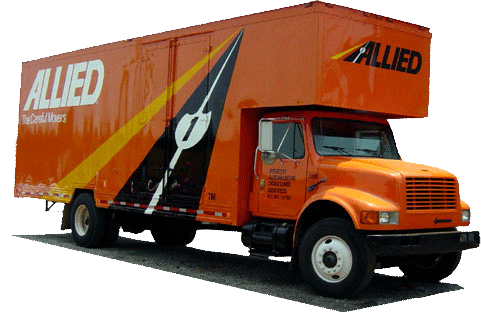 As an agent of Allied Van Lines, Simonik is included in an international network of moving and storage professionals, allowing us to easily handle relocations anywhere across the globe. This partnership also gives us access to advanced training materials and cutting-edge resources, giving our crews everything they need to execute a smooth, stress-free and efficient relocation. It’s our ability to effectively cater to our customers’ needs that has earned us accreditation from the BBB. Unfortunately, sometimes you can’t immediately receive all of your items at your new home. For this scenario, we offer short-and-long-term storage options in our warehouse. This facility is massive enough to hold any items you need stored during your move from NJ to England. Additionally, the building is equipped with advanced fire-and-theft-prevention technologies, so rest easy knowing your belongings are safe while in our care. Simonik Moving & Storage serves counties throughout North Jersey, including Hunterdon, Mercer, Middlesex, Monmouth, Morris and Somerset. As a former recipient of the Mover of the Year award from the New Jersey Warehousemen & Movers Association and a Registered International Mover, we’ll go above and beyond to ensure your move from New Jersey to England is nothing short of spectacular. Additionally, our status as a ProMover member of the American Moving and Storage Association keeps us holds us to a high standard of quality, especially when performing complex international relocations. Are you ready to begin your move from New Jersey to England? Let the experts at Simonik Moving and Storage help you with that. Call us or fill out our online form to receive your free quote today!